Farming continued to expand in Bloomington to include dairy cattle and the raising of sheep. Truck farming and vegetable stands became popular. Townspeople identified with separate sections of town such as Bloomington, Bloomington Ferry, Oxboro Heath and Oak Grove. The community boasted of services that made life easier - two telephone companies, grocery stores, blacksmith shops, machine shops and garages for the new invention, the automobile. Colonel Marion Savage built a mansion overlooking the river and opened a freight business. It ran in conjunction with a passenger train service, the Dan Patch line, named after Dan Patch, the Colonel's world famous pacing horse. Voters in 1917 initiated a merger of the five existing rural schools. During this time, the population grew to around 2,500. 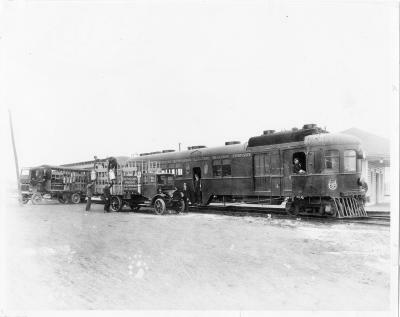 Colonel Savage established an electric railway called the Dan Patch line which started at 54th Street and Nicollet Avenue in Minneapolis and ran through Bloomington, extending to Savage and Antlers Park (Lake Marion) in Lakeville. Bloomington high school students would take the train to Minneapolis to school. Bloomington farmers would send their milk into Minneapolis on the train. 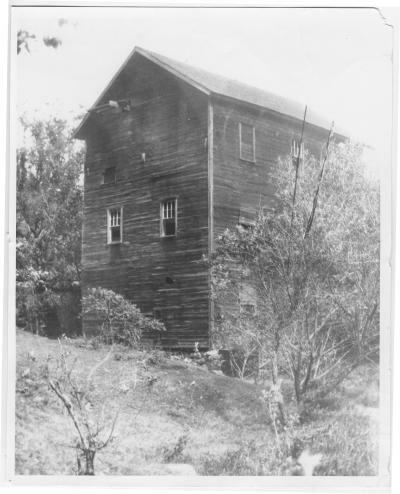 The McAfee Mill, circa 1910. Built in 1875, the mill was used until 1905. Located on Nine Mile Creek, the Bloomington flouring mill and dam were built by William McAfee. The three-story building contained grinding stones and rollers, turned by a turbine wheel which was fed by springs in the stream bed. 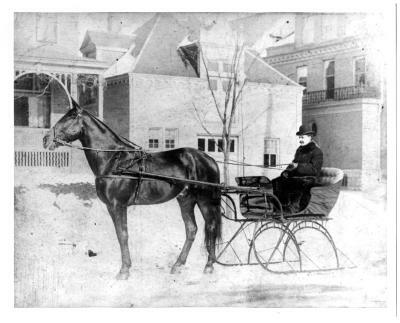 Colonel Marion E. Savage with Dan Patch at the Savage mansion and barns, built in 1906. Located at the site of the Bloomington Masonic Home on Normandale Boulevard in Bloomington, the original Savage mansion served as the first Masonic home. Dan Patch and Colonel Savage are two of Bloomington's most colorful characters. Dan Patch set the world pacing record of one minute fifty-five seconds during the 1906 Minnesota State Fair. The record held for many years. Dan Patch was never defeated.